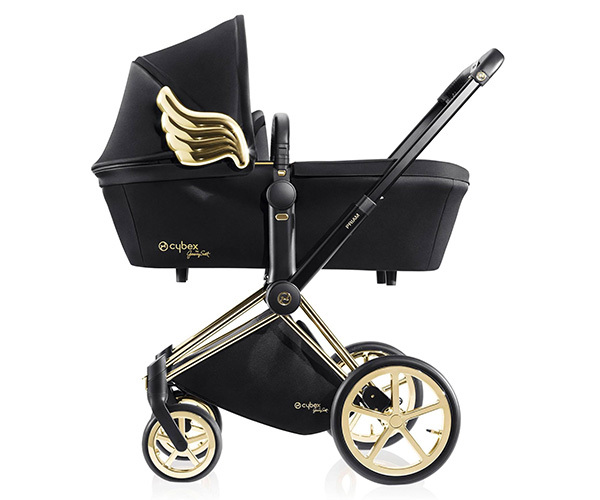 Cybex by Jeremy Scott - fit for an angel, a gilded pram with wings! 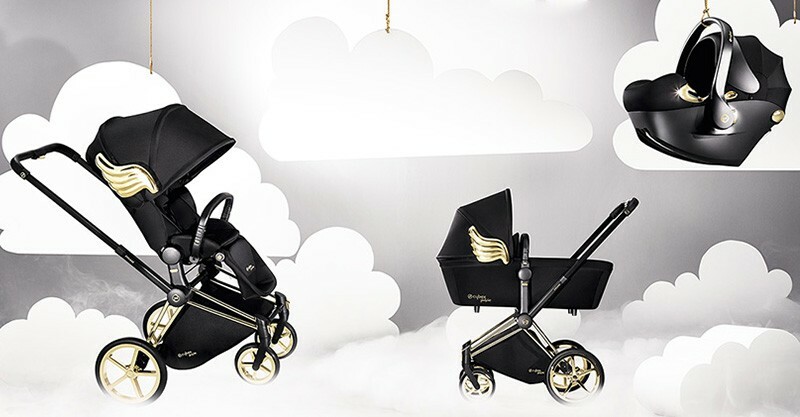 Cybex by Jeremy Scott – fit for an angel, a gilded pram with wings! There’s no such thing as winging it in the fashion world – that is unless you’re the stunningly talented Jeremy Scott and you’re literally adding wings. 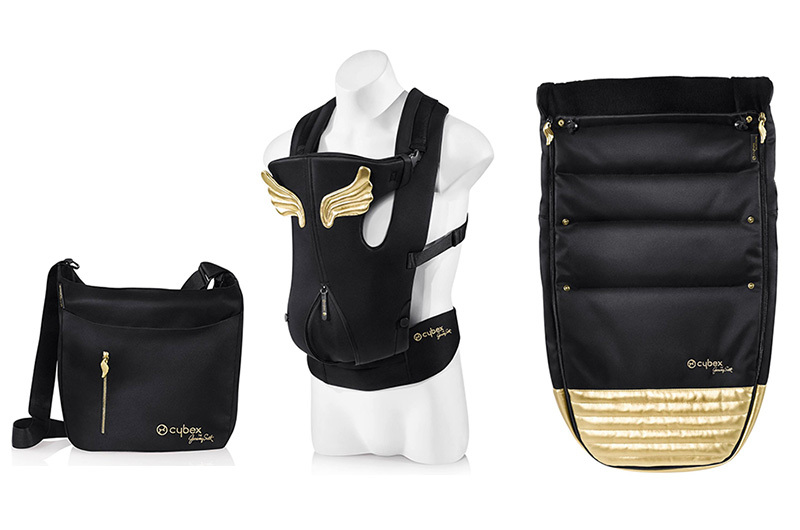 The iconic fashion designer is bringing his second collection with Cybex to the table in all of its sleek fashionista glory, complete with golden wings. Jeremy Scott, Creative Director of Italian luxury fashion house Moschino, isn’t afraid to flex his design muscle – and he has well and truly put his stamp on his Cybex by Jeremy Scott collection. 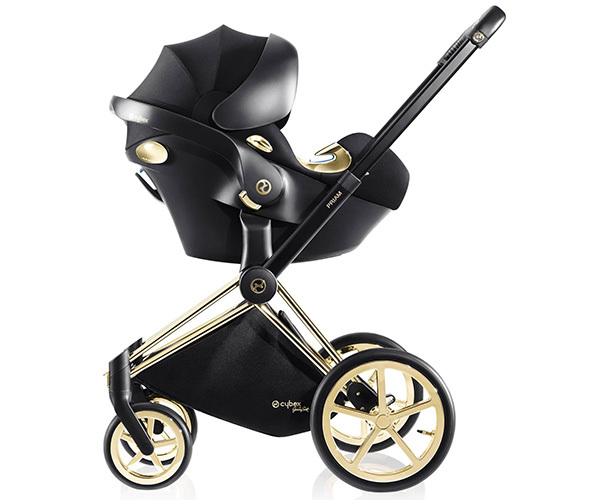 A beautiful capsule collection including gilded accessories, the jewels in this gold crown are the the Cybex Platinum Priam stroller (US$1699.95), coordinating Carry Cot (US$449.95) and the Aton Q Infant Car Seat (US$449.95). Use them together as a complete travel system or simply go it alone pushing a divine stroller with a luxurious generously sized seat. 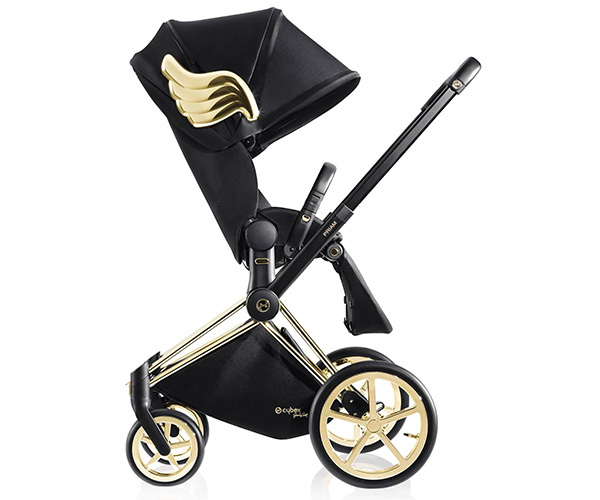 Attention to detail is astounding with the stunning Priam stroller boasting a fabulously flashy gold chassis and trekking wheels with gold spokes no less, in addition to signature gold wings on the Carry Cot and Lux Seat of the Priam stroller. We have no word as yet if the Cybex by Jeremy Scott collection will be gliding onto the floors of Australian retailers, but we’ll be sure to let you know if it will be! For all of the details, head to Cybex. And check out our post about the fab new Priam colours just released in Australia.